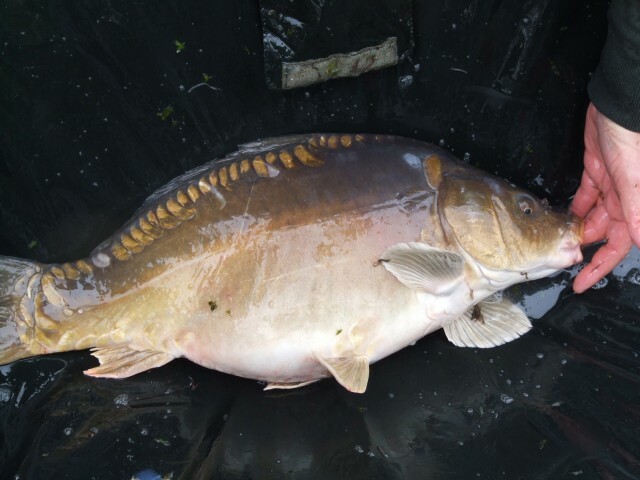 30 Carp were stocked into the Big Pit and 50 Carp into the Match Pit to a total weight of 611lb. 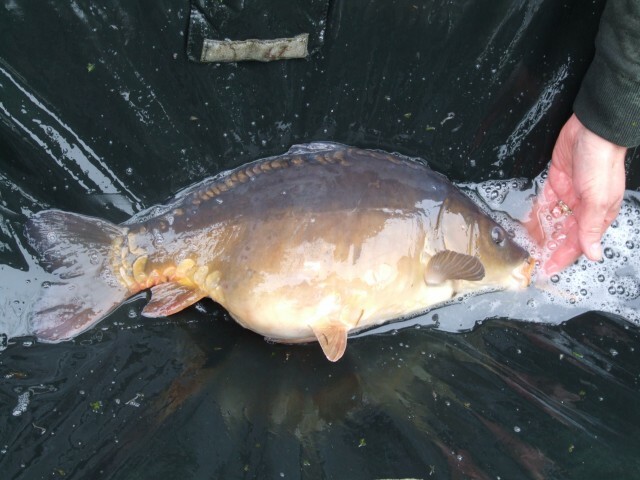 There was about a 50/50 split between Mirrors and Commons. 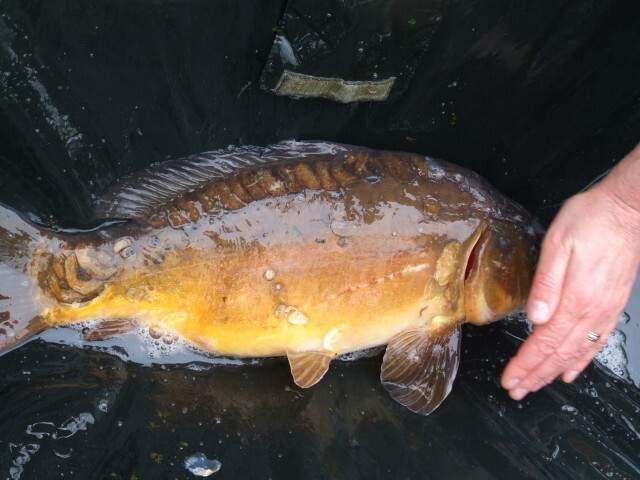 They were sourced from Centre Parcs as usual. 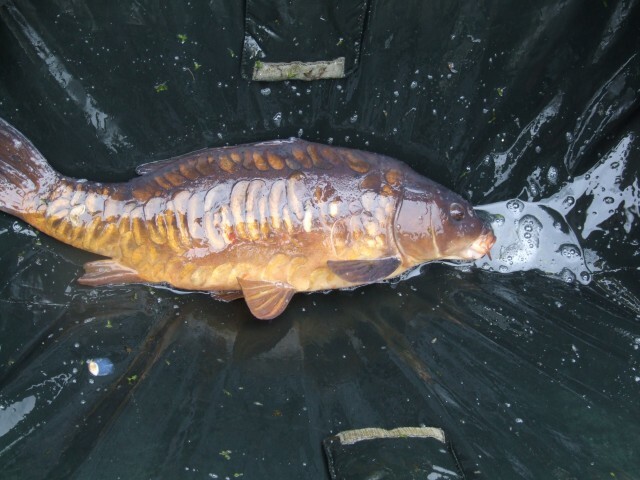 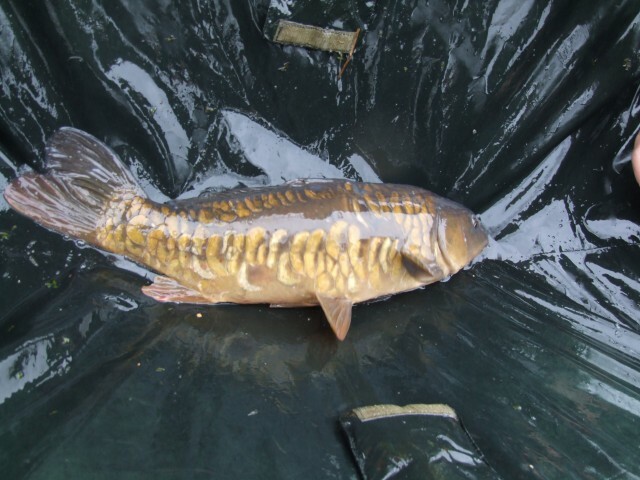 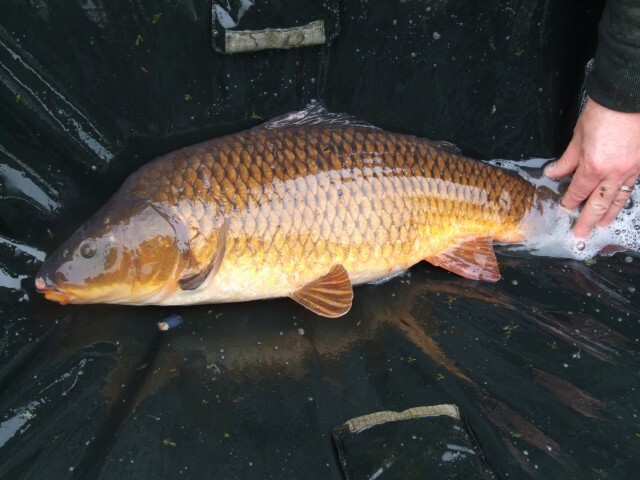 Below are a few examples of the stocked fish, they were on the range of 18-8lb.